Nike today announced that it has teamed up with Apple to create a new version of the Apple Watch Nike+, which pairs a Space Gray Apple Watch Series 2 aluminum case with a black and cream Nike band. 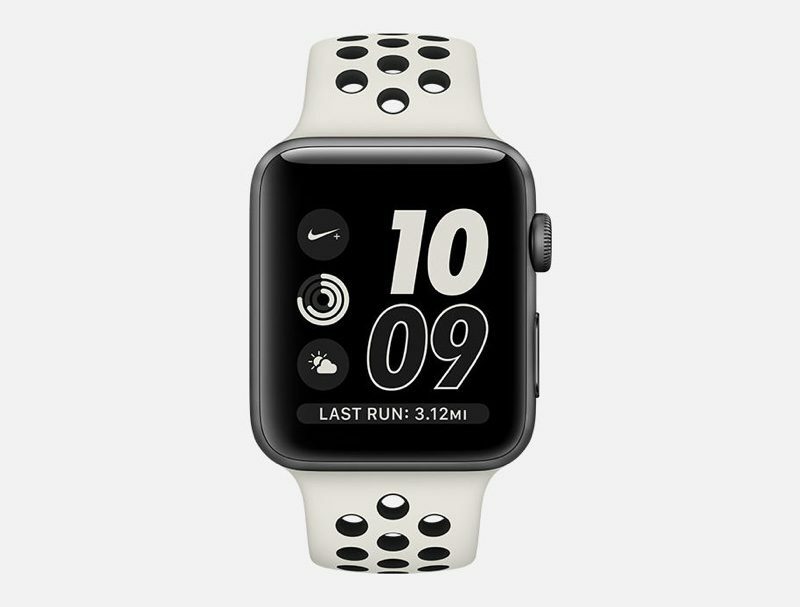 Called the Apple Watch NikeLab, the new device is limited edition and designed to be "the ultimate style companion" for those who love to run. Apple Watch NikeLab will be available starting on April 27 from Nike.com, at NikeLab locations, and at the Apple Tokyo pop-up store at the Isetan department store. It will not be sold in Apple Stores or from the Apple website, a first for an Apple Watch. The Apple Watch NikeLab will likely be priced at $369 for the 38mm model and $399 for the 42mm model, the same price as the rest of the Apple Watch Nike+ lineup. Apple and Nike first teamed up in September of 2016 for the Nike+ Apple Watch that launched alongside Apple's own set of Series 2 Apple Watch devices. Apple offers two Apple Watch Nike+ models in Silver and Space Gray aluminum along with standalone Apple Watch Nike+ bands. Reminds me of an Oreo ice cream, maybe that's why I want to lick the screen. this really required a team up? btw what great marketing apple did with the watch. you still think these actors are still at apple after this photo op? BTW the heart rate data and gps of the watch are very inaccurate compared to other watches. But some of you guys will believe otherwise. https://www.dcrainmaker.com/2016/02/apple-watch-review.html "BUT I LOVE MY APPLE WATCH!! APPLE IS THE BESTEST IN THE WORLD!!" Man, that's a terrible post. Just wanted to let you know. Looks nice, but sets off a little trypophobia. Neutral toned, yet still ugly. Honestly, you should try a few runs with a Garmin Forerunner 630. You won't be saying the AW is perfect for running after that, you'll be saying why can't Apple make a watch that at least matches the Garmin app's stats. Apple needs to seriously up its game. AW is a toy compared to dedicated sport watches. AW has the capability. Apple just doesn't care enough to make the software. It prefers co-branding to true performance. I want that cream Nike colored band. that's awesome. wish it was out earlier when i got the first nike+. oh well, great watch, love using it and perfect for running. Wish I could buy the band stand-alone.